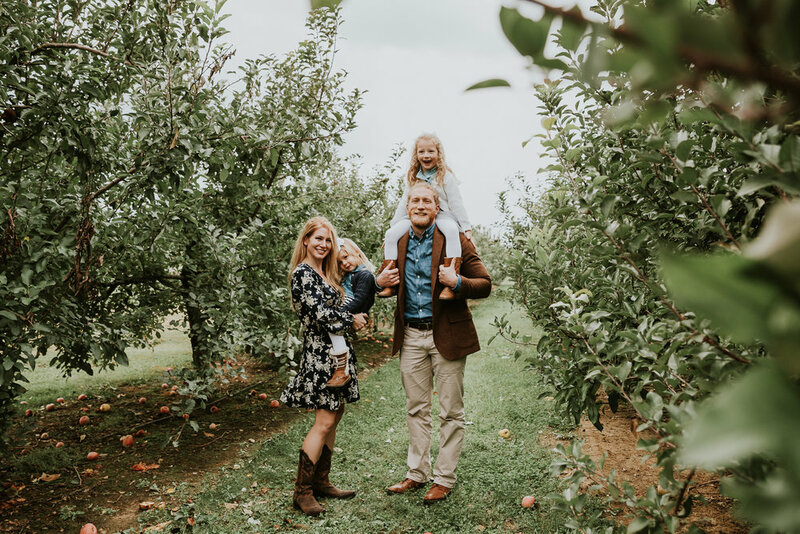 This fall family photo session at Huber’s Orchard and Winery was a dream to photograph! Going to Huber’s has been an autumn tradition of mine for years, and it’s so easy to get there as a Louisville area photographer so it was perfect for these fall family photos. Diane, Richard, and the girls got to romp around the apple orchards, which made the perfect setting!